Why Do We Need to Use Trenchless Technology? What is Drilling Bit Burnt Accident? How Does A Well Drilling Rig Work? What Is The Purpose And Function Of A Water Well Casing? 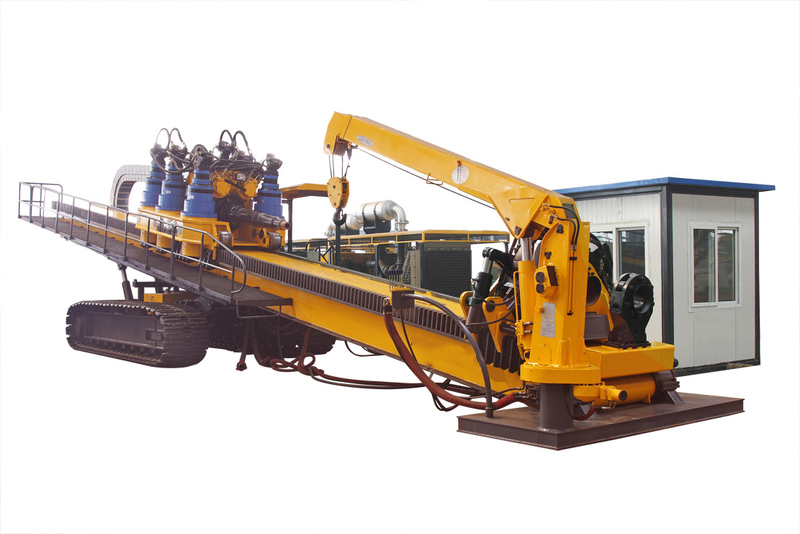 DFHD-1000 integrated with the advantages and characteristics of various HDD rigs in China and abroad, is a high-sufficient drill rig manufactured by us based on more than 10 years designing experiences. DFHD-1000 provides 1045T feeding&pulling force and Max. 210000N.m. Torque to gain successful performances. The rack and pinion transmission system is designed with advanced technology, which ensures much more reliable and safer movement of drill head. The high-quality crawler makes it possible for drill rig to move quickly. The operator's cabin is with wide field of view and good sound insulation. All sorts of monitoring gauges are mounted in the cabin, which makes it simple to operate the rig. A crane with capacity of 4 tons is attached with the main machine to ensure convenient working for operator. Running state Feeding / pulling and rotating could achieve the max, performance parameters above. Power for main machine Ratings 145KW/2100r/min could be chosen by client's demand. Hydraulic system Close type system for feeding, pulling and rotating, open type load-sensing system for auxiliary circuit. 2. On crawlers with traveling speed 1.5Km/h. The length of drill rod should be within 10.5 meter. Pressure, flow rate, rotating speed etc. could be seen in operation cabin for easier analysis while drilling.